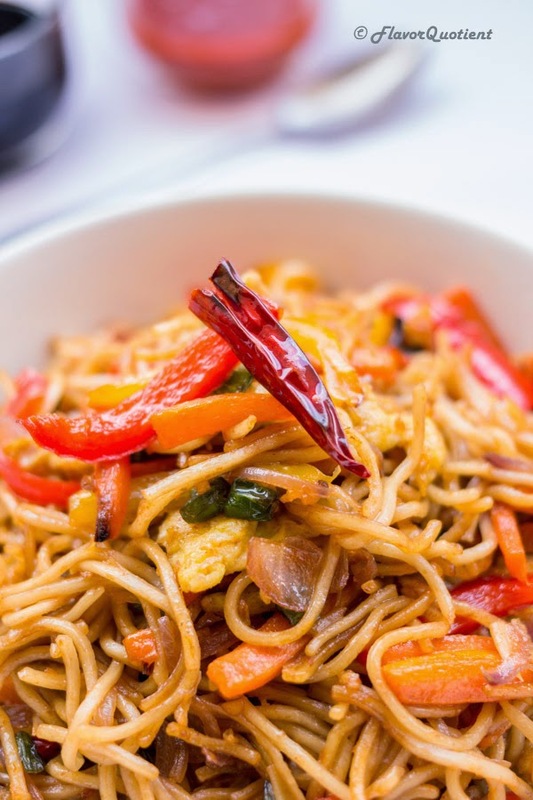 The warm bowl of crispy stir-fry noodles with lots of favorite veggies is the ultimate comfort food on a hectic day. I love the assortment of colors which you can customize depending on your mood! Last week has been a disaster! The disaster was in terms of my cooking! Whole week we had to survive on ‘take-aways’ which is unbelievable! Being a person who loves to cook and have good food at home, I was falling into parts every time I was dialing the number to place the order! A couple of times it is still okay; but for the whole week! Sob sob!! The reason of this sudden tragic period was nothing but insane amount of work to be finished too fast! The left-over of last week’s whim is still continuing this week but the situation has definitely improved a bit. That is also because it’s Christmas time and all our official counterparts in all over the world are gearing up for their annual holiday time! This is the best time of the year for me! No, not because my birthday falls around the same time, ;)! Because I feel there is something merry in the air around this time and everyone feels happy. 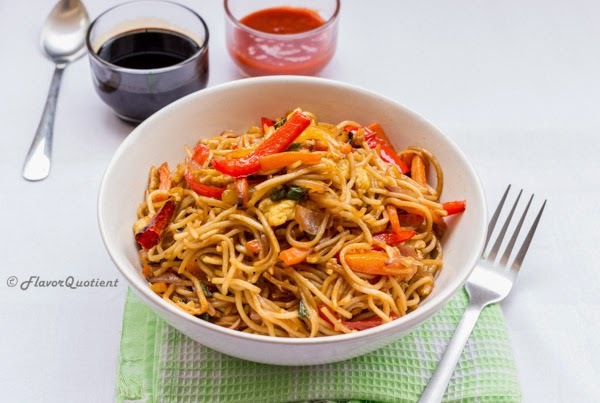 With that happy note, here is my today recipe – stir-fried noodles with veggies. This one was one quick meal I prepared during this hectic time. 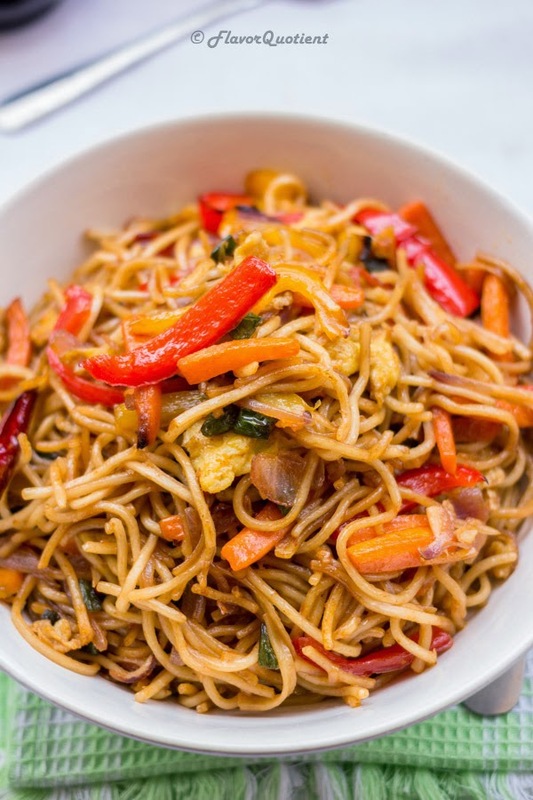 The primary reason was, it is done way too quickly and the secondary reason was, I love stir-fry noodles. 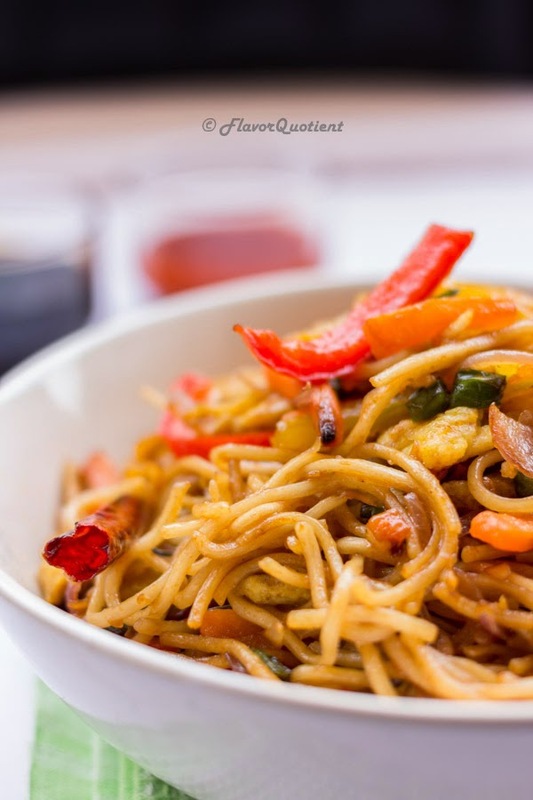 My love for noodles is not new (be it Pan-Fried Noddles or Stir-Fry); the only outside food I used to demand during my childhood was noodles; be it in any form or taste. I haven’t still grown out of it and still in awe of this super-tasty crispiness! Heat 2 tablespoons of oil in a wok and stir fry all the vegetables, except this onions and garlic, on high heat till cooked. Season with salt and set aside. Make scrambled eggs and set aside. Now it’s time to assemble all components; so keep everything ready and add the remaining oil into the wok. When the oil is super-hot, add the dried red chillies, garlic paste and sliced onions. Stir-fry them till golden brown for about 2 minutes. If you are using sugar, add it now and let it dissolve completely. 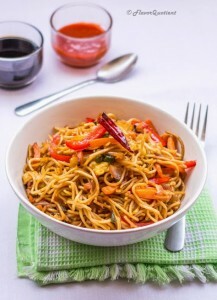 Now add half of the boiled noodles and half of the fried veggies and using two forks mix them with the sauce evenly. 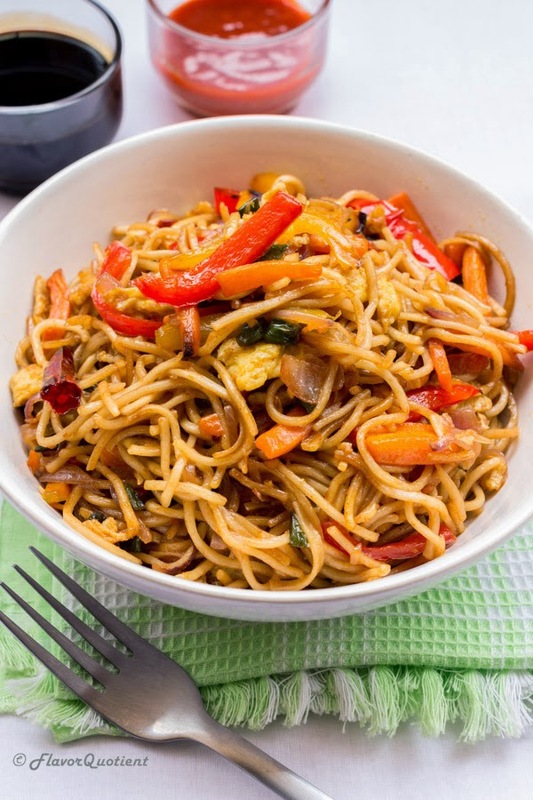 Then add the remaining noodles and veggies and mix everything well. Turn off the heat and serve immediately.